Spending time in the saddle? Whatever the motivation, if you enjoy riding or driving your American Paint Horse for recreation, the APHA Ride America® Saddle Log Program is for you. 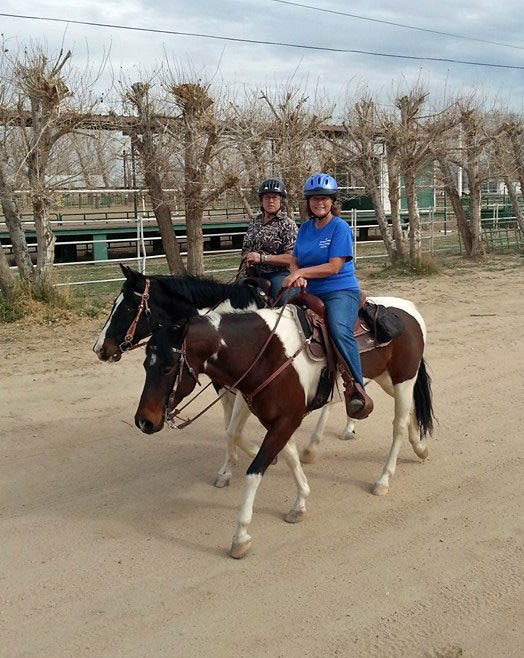 By enrolling in Ride America, you can strengthen your body and mind while exploring the great outdoors with your favorite Paint Horse—all while earning rewards for the time you spend riding and driving. Beginning in 2014, APHA partnered with the American Competitive Trail Horse Association in an effort to make finding organized trail rides nearby easier. As a result of the partnership, APHA Ride America participants will have easy access to more ride locations, and will earn double Ride America hours at all ACTHA rides as well as all APHA Regional Club rides. To learn more about ACTHA, visit their website at https//www.actha.us. This award is bestowed on the rider in each zone who logs the most hours annually (January 1 through December 31), and whose logs are posted by January 10 of the following year. Each zone winner will receive a special gift honoring their achievement, a certificate and listing in an APHA publication. All you have to do is enjoy the ride and record your progress—we’ll reward your achievements. So get out there and saddle up! It’s time to Ride America! Join Ride America, for all the reasons you ride. For more information on Ride America, email rideamerica@apha.com or call (817) 222-6439.